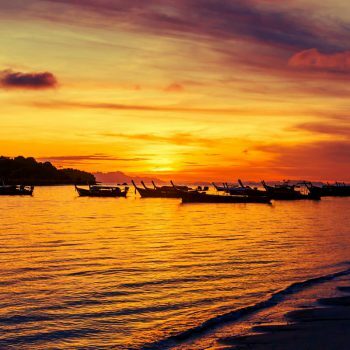 Koh Lipe is located in the Tarutao National Marine Park and has some of the best dive sites in Thailand. Hard and soft coral gardens support Seahorses, Ghost Fish, Harlequin Shrimp, Frog Fish, Coral Catsharks, Trevally, Barracuda and, if you are lucky, the occasional Manta Ray. The reefs around Koh Lipe are flourishing in soft and hard corals. 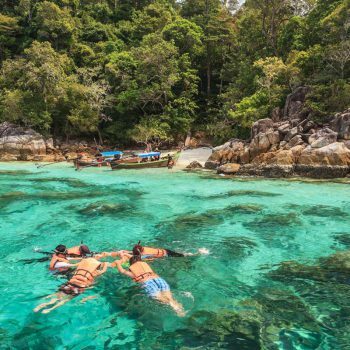 With over 20 islands and even more submerged pinnacles, Koh Lipe’s Marine Park offers a huge variety of diving from shallow nursery reefs, dramatic wall dives and everything in between. Several schools on the island offer lessons for all levels as well as the full PADI Open Water Diver Course. Located 5-10 minutes from Koh Lipe by boat, Stonehenge is full of Soft Leafy Coral making it a beautiful and vibrant reef. Generally you will see schools of Barracudas, Trevally and Yellow Snappers. Smaller creatures include Seahorse, Shrimps, Crabs, Nudibranchs and Stone fish. Strong currents dictate when this dive is safe. Koh Lipe’s most famous dive site is full of a diverse array of marine life. Huge schools of Trevally can be seen hunting along the wall, you may be lucky enough to encounter a Whale shark or Manta Ray. This deep dive site, best for experienced divers. Similar to Stonehenge, 8 Mile Rock is exposed and is not always suitable for diving. The Far Islands are a cluster of small islands at the far north side of the Tarutao Marine Park. Koh Sarang, Hin Son, Koh Bulo and Koh Ling have beautiful wall dives full of coral and marine life. They have a variety of deep pinnacles and shallow reefs. 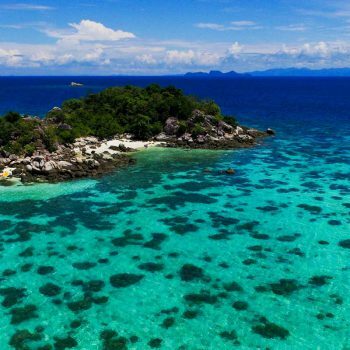 This beautiful dive site is located 25 minutes from Koh Lipe by boat. Minke Whales are often spotted breaching the surface during the journey out there. Once at the site, you will notice it teaming with life and full of spectacular hard and soft corals. Coral Cat Sharks can be found here under the rocks and schools of Yellow Snapper are fun to swim with. Deep granite boulders full of soft coral are the main draw to Koh Pung. Manta Rays and Whale sharks have been seen here on occasion, as have huge Marbled Sting Rays hiding under the rocks. 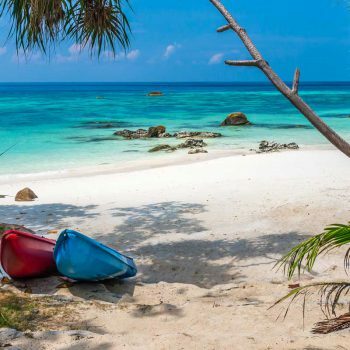 Koh Pung is subject to very strong currents that dictate when the site is safe for diving. You can snorkel from most of Lipe’s beaches, though the most impressive coral and fish is a short boat trip away. Explore the uninhabited islands of the Adang Archipelago and see some amazing marine life. Snorkel with tropical fish, see colourful coral, explore uninhabited islands and picnic on empty beaches. Rent a Kayak and explore the coast and nearby islands. 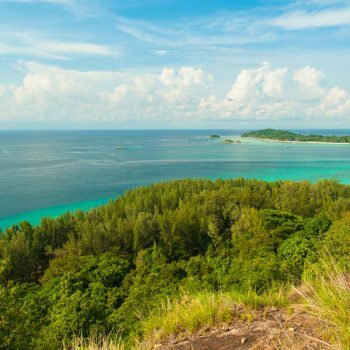 Hike Koh Adang to breath-taking viewpoints over Koh Lipe and the marine park. Relax into your holiday with yoga, meditation and well-being.